and i still am. but i can’t get the scenes from cnn out of my head this evening. makes my petty concerns [boards, toddler temper tantrums, and the like] seem so utterly ridiculous, doesn’t it? my heart goes out to the typhoon haiyan victims. feeling small, and powerless, and sad. but donating now to at least do something. i actually wanted to start a new tradition of donating each month’s blogher earnings to a worthy cause, so might as well start now. i’ve gotten so much from all of you, and now it’s time to give back. 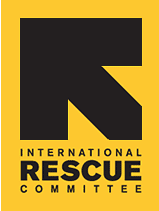 i chose the international rescue committee [somewhat arbitrarily] but there is a list on cnn of suggested organizations for donation.